Regardless of how comfortable you are with social media, the fact is that every business, whether big or small, absolutely needs a social media presence in order to succeed. Social media not only provides an ideal forum to promote your business, but it also allows for a space to foster relationships with clients and leverage growth while reducing marketing costs. Not to mention that social media giants like Facebook, just to name one example, have a whopping 2.2 billion active users who could potentially be connecting with your brand. That said, a big rookie mistake that a lot of new business owners make is to jump right on the social marketing bandwagon without properly planning an effective strategy. They are likely to find themselves questioning why they have so little followers. Keep in mind that once you lose followers, it is very hard to get them back. 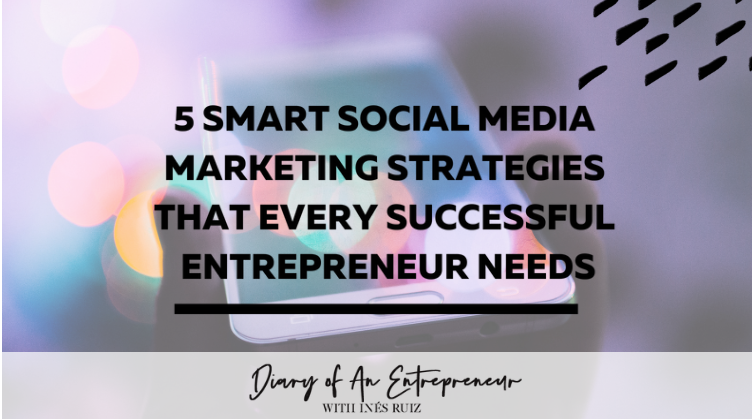 To prevent this from happening to you, we have outlined five absolutely necessary strategies that every aspiring entrepreneur needs to implement in order to establish a successful social media presence. Check it out! One of the first things to do before diving into the deep and murky water that is social media is to decide exactly what you want to do and and how you want to do it. Start by making a list of all your goals. Make sure you write this list down on paper and not just in your head. Take a break, and then come back to your list. Read everything over a couple of times to make sure that your objectives are reasonable and attainable and, more importantly, in line with your overall business strategy. Next, break down the points into concrete steps. Be sure to use real numbers and set deadlines to help stay on track. Once you are online, research your audience. It is crucial to know and understand who is interacting with your content in order to be able to create a targeted strategy. There are a host of online tools for obtaining analytics about your followers, but the numbers aren’t the only thing to pay attention to. For example, online reviews are a great way to get information about what your clients want and expect. When it comes to building a successful social marketing presence, one of the most important things to keep in mind is that you need to keep your audience interested. One of the best ways to do that is to encourage your followers to interact with the material. A great trick is to hold a contest or a giveaway every now and then. Don’t forget to take online polls. They not only encourage client interaction, but they also provide valuable information on how to improve. Make this your mantra. Before you post, think carefully about what you are going to say. As we all have witnessed, nothing can destroy a business’s reputation faster than an ill-conceived social media slip up, so always carefully consider everything you put out there. People almost never appreciate having a product pushed on them, so make sure that you are subtle and discreet in your marketing strategy. Always aim to take the high road and avoid looking desperate at all costs. Remember, social media is important, but it isn’t everything you need to succeed when building a successful business. At Diary of an Entrepreneur, we provide a full-fledged community and continual support for female entrepreneurs. Have you joined our Facebook community? When you join, you will get access to tons of exclusive learning materials and content, not to mention an invaluable forum to promote your business and build your network.